It seems quality products get harder and harder to find. This is the age of “As Seen on TV” ads that tout wonderful products with amazing features only to find cheap products that never live up to their hype. So, when I find something of true quality I like to let others know about it. As many of you know, we live in an 80 year old country house on a farm near Knoxville. “The Little Money Pit” as I like to call it is always involved in some type of home improvement project. We have been in the house 11 years now, and when we moved in the fireplace was red brick and made the room look dingy and dark. My goal was to find a paint that would cover the brick and look good. What I found was Zinsser Perma-White. In 2003 when I first painted the fireplace. It went on smooth and covered the brick with only 2 coats. The difference it made in the room was astounding, bright and open instead of dark and dreary. The original look was very dark, on both the brick and walls, no longer! My family will tell you I am very frugal. I save things and recycle when I can. 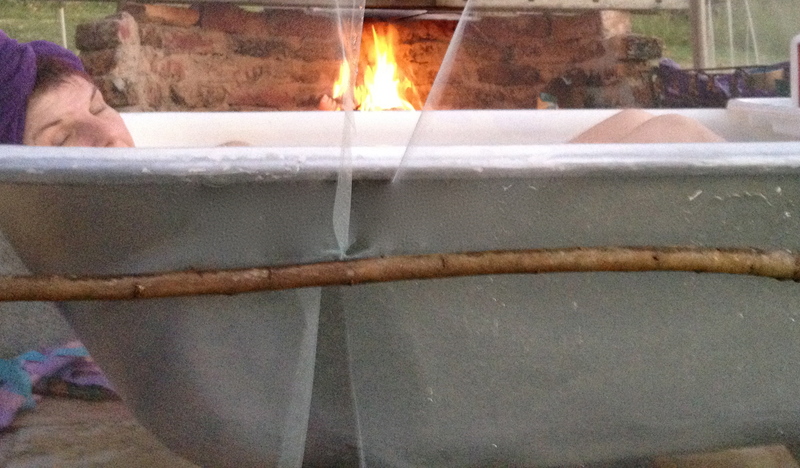 I have been known to repurpose a thing or two. 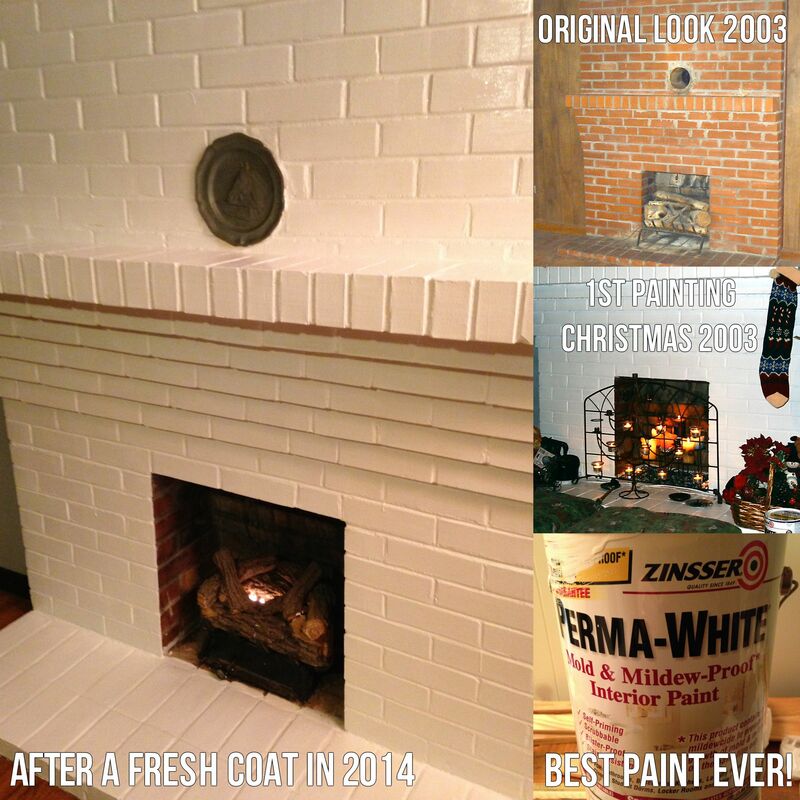 So it wasn’t a surprise to me to find that I still had the original can of Zinsser Perma-White that I painted the fireplace with 11 years ago. What was a surprise was that the paint was still good! After 11 years! I repainted the fireplace tonight, and it looks amazing. I can’t believe it. The paint held up wonderfully over the last 11 years; there were a few places where dark purple candles had melted on the mantle. The Zinsser Perma-White covered it in one coat! If you have ever tried to paint over where a waxy mess has been you know that is a BIG DEAL because even when you think all the wax is gone, the residue it leaves behind will keep the paint from sticking to that spot. So this blog is dedicated to an amazing quality product, and no Zinsser doesn’t even know I bought their product 11 years ago. So there is no kickback involved, just an honest review of a product that really works, even 11 years later. So if you are getting ready to paint and you need a paint that will last and cover, spend the extra and get the Zinsser.